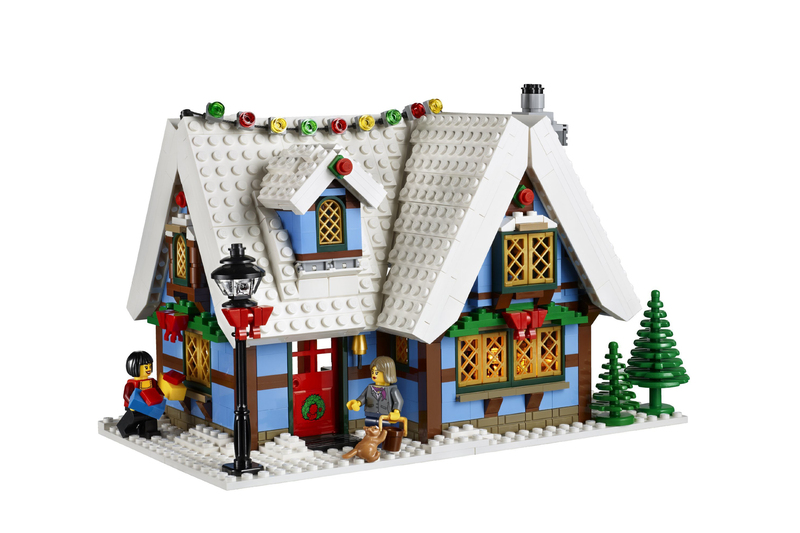 It may be July, but its never to early to think about Christmas and the now annual Winter Village set. This new set does not disappoint. I don’t know if you’ve seen this video or not. On one hand it looks impressive. And sure, a huge pile of LEGO poured onto the floor and then sorted out is pretty impressive to the uninitiated. A true AFOL however, is not uninitiated. 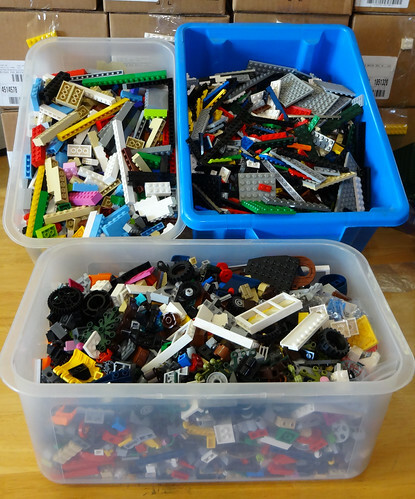 If you have any sort of large collection and if you’ve bought any large quantity of LEGO at one time you’ve done your own fair amount of sorting. Now lets examine the video. 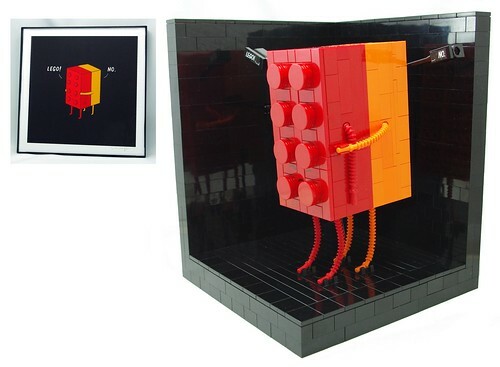 Sure there’s 100 LEGO boxes, but from the looks of it, they are all the same LEGO box. And sure, ripping open all the plastic bags and dumping them on the floor may look dramatic, but its not very effective or logical. LEGO bricks come in sets of bags in a box. These bags are either sorted by steps (i.e. — 1, 2, 3, etc.) or in size. 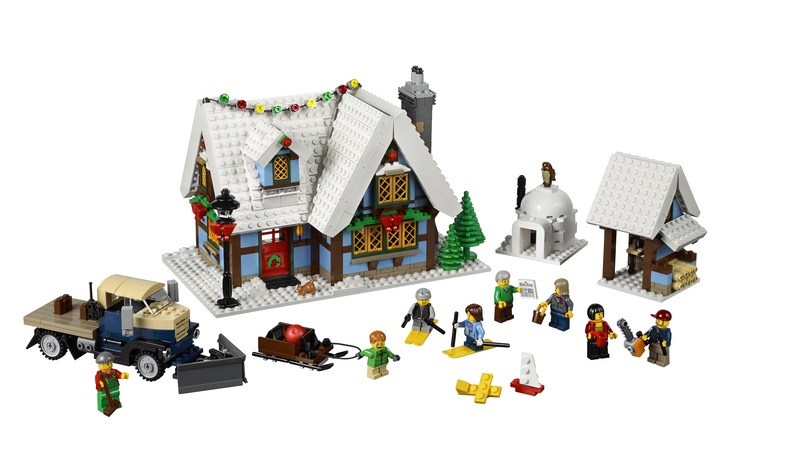 These sets look to be one of the basic creator brick boxes. So its just basic bricks in different colors and sizes. If they are in fact the same LEGO set, as these seem to be, the more logical thing is to open all the same types of bags. So then instead of going through a huge pile you have a smaller pile but with all the same types of parts. What is more difficult is when you have to sort an assortment of various sets that have very little in common. 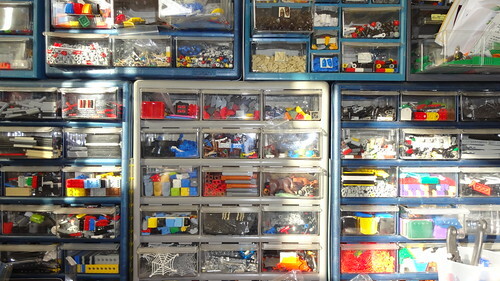 Now of course everyone has their own process of how to sort and store their LEGO. I even wrote about sorting a couple of years ago. I am in fact currently in the process of sorting quite a lot of LEGO. Its not 100 sets, but its probably in the range of at least 30 and up to maybe 50. I’m not sure as I didn’t really count the amount of sets. But these are not the same set and that makes a big difference in how I sort them. In this case, you have to do levels of sorting. Not just one large sort. You can’t even really do that with any sort of practicality, there would just be too many pieces. And, you have to remember, I sort everything by piece and color. And before you ask, yes those are full and no, that isn’t all the LEGO I have to sort. Once all the elements are in their pre-sorted state. I go to the next level. The bricks and plates get sorted by size — 1×1, 1×2, etc. Then they get sorted by color and get put away (yay!). The “other” is more complicated. I sort them out into tiles, slopes, minifig accessories, etc. Then I sort them out by size or style, then by color (if needed) and finally they get put away too. 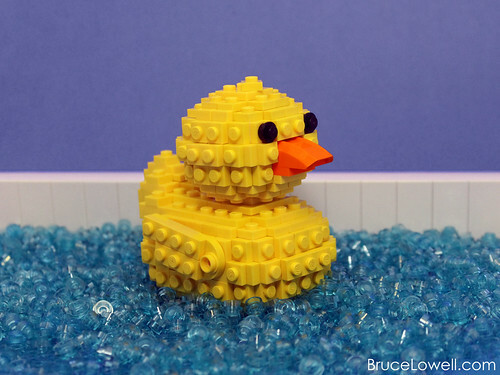 Rubber Duckie, you’re the one! And once again Bruce Lowell has made something adorable! I think my favorite part of it is how she did the arms and legs. What is a hobbit without his home? We saw the figures, but not the set until today when it was unveiled at Comic Con. Okay at $59.99 its not exactly a steal for all that green, but of course you do get all those awesome new figs with fun new elements! There was also a mosaic build, part of a 4 day mosaic build. 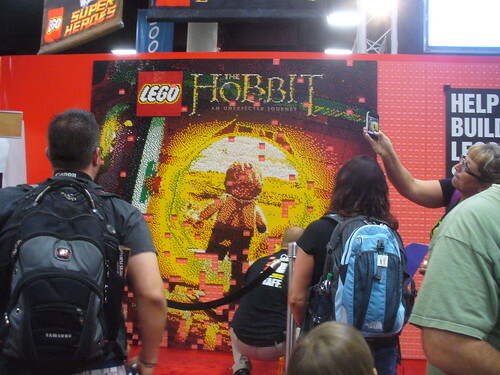 That anyone could participate in and a station so you could play LEGO Lord of the Rings Video Game. Tomorrow the craziness factor increases to a factor of 11 (at least) due to it being Super Heros’ Day. Where they will be giving four different figures (100 of each) to those lucky enough to get their badges scanned early. You will only get a chance to win one of the four, if you win one at all. It will be slightly (and I do mean slightly) better than last year’s fiasco with the Batman and Green Lantern figs. It will be more fair, but still the crazy factor will be off the charts. 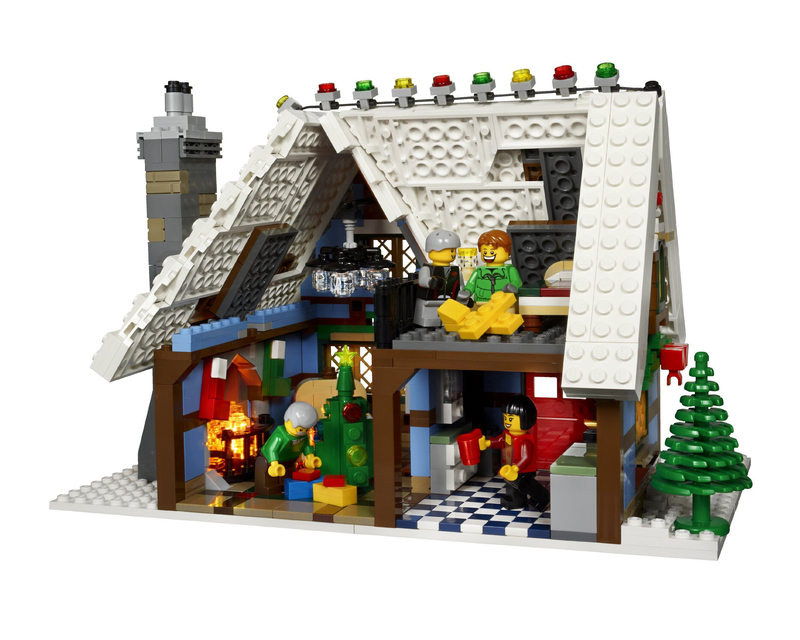 Lucky for me, I’m not working the LEGO booth this year, so I don’t have to deal with disappointed people unhappy with not getting a chance to participate. The 2012 San Diego Comic Con starts Wednesday and once again I’ll be on the scene checking out all the cool new LEGO models and exclusives. 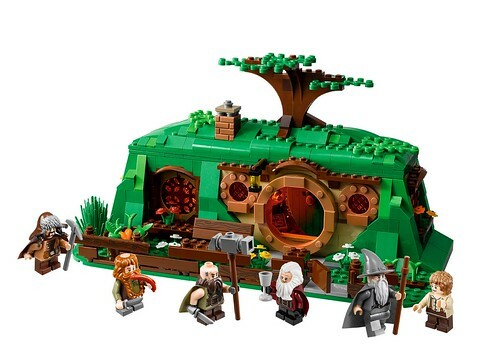 Its the first I’ve seen any official images of the Hobbit Minifigs and I’m sure they will have the actual figs on display at the LEGO booth. 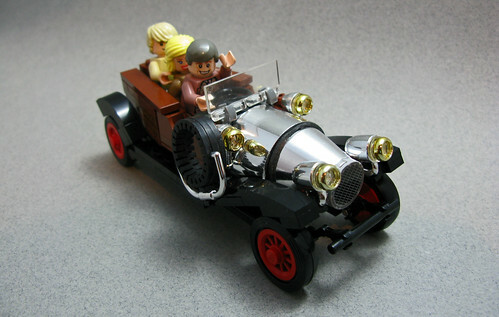 Still no word on what the LEGO Comic Con Exclusive will be this year. They like to keep that under wraps until the very last moment. So I guess I’ll find that out on Preview Night. I will do my best to actually post some of Comic Con while I’m there. Matt Armstrong is known for his quirky building skills and as soon as I saw this I thought, why didn’t I think of that! 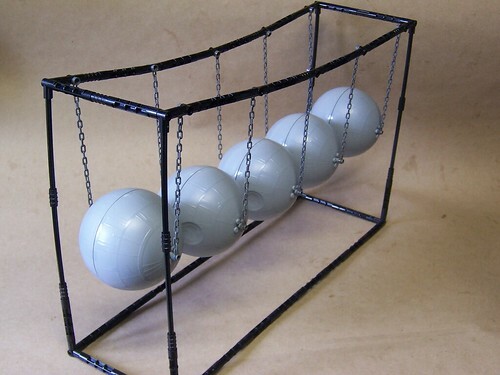 I’ve been wanting to buy a few of those Star Wars Planets sets for quite a while. Now that I’ve had the game for a couple of weeks and I’ve already beaten all the story levels I’ve gotten enough of a sense of the game to properly review it. Warning — there will be some spoilers. First impression — another splendid edition to the LEGO Games lineup. This game is set up differently from past LEGO games as you actually have an entire city to roam around in. This is a both a good and bad thing. It took me quite a few minutes trying to figure out where the 3rd level was because I didn’t catch that it was a moving truck. So I was driving aimlessly through Gotham trying to figure out where the heck to go. I am the first to admit that I’m not all that game savvy, which is why the LEGO Games keep me sufficiently satisfied and why I don’t mind basically playing the same type of game over and over. I still haven’t finished playing either Harry Potter 2 or Pirates, but that didn’t stop me from playing LEGO Batman 2. So anyhow, back to this game. Since I was giving myself a mini vacation — as you know I’ve been running around like a crazy person going to all these conventions — I spent several days playing the game (I did more than that, but I did spend a good deal of time playing 😉 ). It probably would have been more fun playing with someone, but unlike some of the past games, its not difficult to play by yourself. This game is the first that the characters actually talk. In my opinion, its about time!! I get that the main reason they did the characters with non-specific verbal sounds was so that they didn’t need to change the language for different countries. But with LEGO programs like Clutch Powers and Ninja Go on Cartoon Network we want our minifigs to talk! I kind of wish that this had been more of a LEGO Justice League Game than a Batman and friends game. Superman shows up pretty early, but it isn’t until the last couple of levels that you have any other superheros to play with. And frankly I think its kind of weird that Lex Luthor is the main bad guy, I guess you could argue that Batman already beat all his enemies in the first game, but still it still is a little strange to me. Once you beat the story mode, then its time to collect all those gold and red bricks, minikits and of course all the playable characters. I have to admit, I did cheat a little bit and found the codes online for unlocking the red bricks, mainly because finding all the gold bricks (there’s 250) would be rather difficult without it and I’d rather not spend endless hours wandering. Sure you get several of them by playing the levels but then there’s all those ones around the city. And I mean all around the city — in the park areas, roof tops, out in the waters. If I didn’t have the gold brick finder on, I wouldn’t have ever found some of them. And I still have a good deal of them to go. The ones in the park areas are tricky because they can be just a set of trees or bushes that you have to destroy and they are hidden in some pretty out of the way places. But the rooftop ones are just as tricky because there’s a whole combination of things you have to do — jumping, changing suits (Batman and Robin have several different ones), etc. Finding all the characters to unlock is also a pain. The best way to find the villains is to use one of the flying characters — Superman, Wonder Woman or Green Lantern — and fly over the city. There will be these blue and red beams of light you can see all over the city. The beams are where you can activate the remote Bat computer terminal and get vehicles. Some have to be unlocked before you can access them. Once you go to the different locations they will activate where the nearest bad guys are on the map then you can go and beat them so you can purchase them with gold studs. Some villains were only available if you pre-ordered the game. 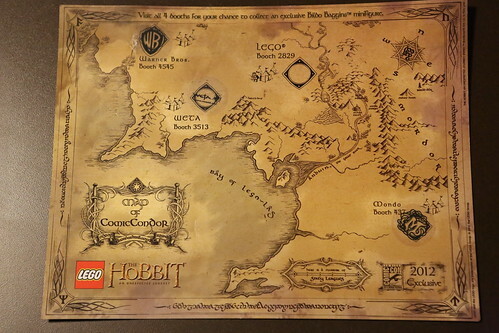 For the heroes, you need enough gold bricks and to scan the map. It will ping nearby doors and then you can build the door and buy the heroes. So far I’ve found several of the villains but only a couple of the gold doors to unlock. And of course there’s lots of cars, boats and flying vehicles to purchase as well. So all in all. I really like the game. I have lots more of the game to play to get all the goodies, but I’ve had a lot of fun so far. I highly recommend it to anyone who likes the other LEGO Video Games and I find I like it a lot better than some of the past games. 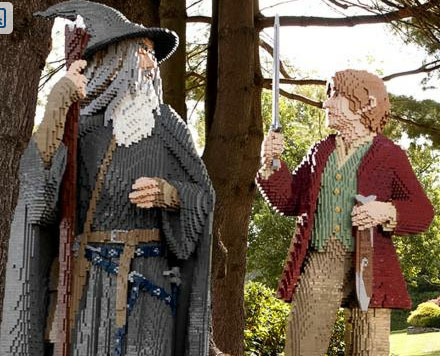 I’ve already got my LEGO Lord of the Rings Video Game pre-ordered so I’ll have another review in a couple of months. I would be picking up LEGO City Undercover, but as I don’t see myself buying a Wii U or a 3D DS anytime soon (the only platforms it will be available on) I won’t be getting that game at least for now.